Launched in the year 2005, the fund has an AUM of Rs 3,636 Cr as on Jul 31, 2018, with an expense ratio of 2.52%. In the past ten years, the fund has underperformed the category’s average by providing the returns of 10.64% but has managed to beat the benchmark whose returns were 9.93%. This CAGR shows that, if any person, who has invested the amount of Rs 10,000 in 2008 should have gained the approx amount of Rs 27,480 in 2018. These returns of SBI Magnum Mid cap Fund Growth has pulled down due to its recent underperformance in the year 2017. However, till 2017, as per the financial analysts of MySIPonline, the fund has given an enviably consistent track record of healthy Y-o-Y alpha generation. The past five year returns of fund show that it has outperformed its index for three years out of five. In 2014, it had given competitive returns but has underperformed by 10% in 2017. Having 52% of the portfolio-turnover ratio in Aug 2018, the fund manager does not churn the portfolio very much. She continued to hold the stocks which helps in generating additional alpha. She stays away from the midcap PSU banks as they are highly risky which help the portfolio from potential damage. As per the financial analysts of MySIPonline, the average market capitalisation of the fund is Rs 11,597.20 Cr as on Aug 10, 2018. This capital is concentrated about 77% in mid-cap companies, and the rest is allocated to large-cap and small-cap companies. The highest exposure of fund’s portfolio is given to the financial and banking sector, healthcare, engineering, constructions as well as the chemicals sector. The fund does not invest in the utility sector and other cyclic sectors because they can underperform anytime which affect the fund’s growth in the long run. Beside all these, the fund provides little exposure to renewable energy, construction and industrial sector time to time. These sectors provide absolute returns to the fund, as per the high convictions of Ms Andani. Currently, she has been mentored by Mr Navneet Manot, CIO of SBI Mutual Fund and Mr R Srinivasan, Head of Equity. They help her in environmental, social impact, and governance investment strategy. Following the blend of growth and value investing, SBI Magnum Midcap Fund growth has allocated 22.77% of its total assets in the top five companies. These companies are PNB Housing Finance, Cholamandalam Invest. & Fin., Carborundum Universal, Godrej Properties, and The Ramco Cements. This diversification shows that the growth of fund is an outcome of demand/supply dynamics and not of the external environment and macroeconomic factors. This asset allocation shows that SBI Magnum Midcap Fund G deliver long-term growth to investors. The portfolio is designed in such a way that it will grow even in a dull environment. 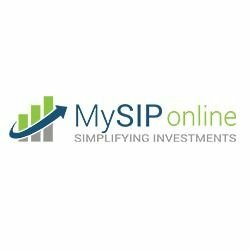 For more information regarding fund and its performance, you may connect with our experts at MySIPonline.